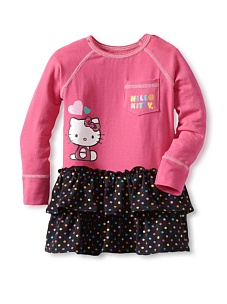 Fall is officially here, which means it’s time to stock up on new wardrobe essentials for your little one. 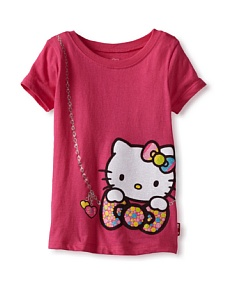 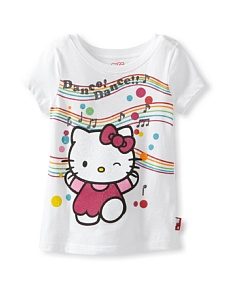 Enter this adorable collection from Hello Kitty Girls. 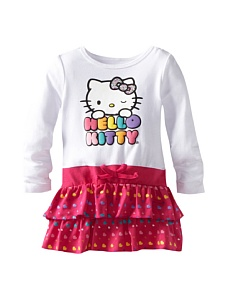 Bearing that beloved symbol from your own childhood, your little girl will be carrying on the feline tradition in her own sweet way with these comfy dresses and tees.